on Treadmills, Ellipticals, & Exercise Bikes. * in-store only. exclusions apply. see store for details. Life Fitness Elliptical Cross-Trainers provide a smooth,natural total-body motion that burns more calories with less perceived exertion. 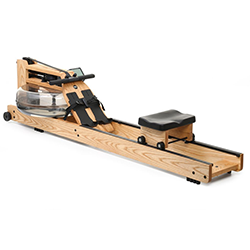 Featuring an attention to detail unseen in other exercise equipment, the WaterRower’s unique WaterFlywheel design emulates rowing like no other. Because the TRX Suspension Trainer requires you to engage your core with every exercise, you get a total-body workout every time you train. With 27 fitness equipment super stores surrounding New York City, Philadelphia, and Washington DC, Leisure Fitness Equipment stores offer the best selection treadmills, ellipticals, exercise bikes and home gyms from top brands such as Life Fitness, Precor and Landice. Be sure to bring your workout gear - everything is plugged in and ready to try! The all-new Octane ZR8 was built with one goal in mind – performance. And performance means many things – power, speed, endurance, efficiency, versatility and recovery. PerfectStride Technology of the Matrix Ascent Trainer combines an ideal stride motion and ergonomically correct foot position with a variable stride length for a more natural-feeling workout.